The go-to snare drum head for drummers of all music styles, the Remo Ambassador Coated is extremely responsive and will give you a huge range of tuning options. 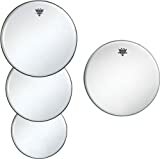 These drumheads are also great on toms and kick drums for a full and open sound. 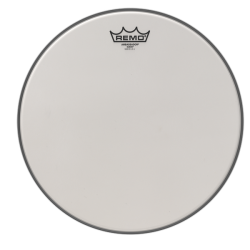 The coated Remo Ambassador is made with a single ply of 10mil coated film, giving a full and open sound with a nice sustain. 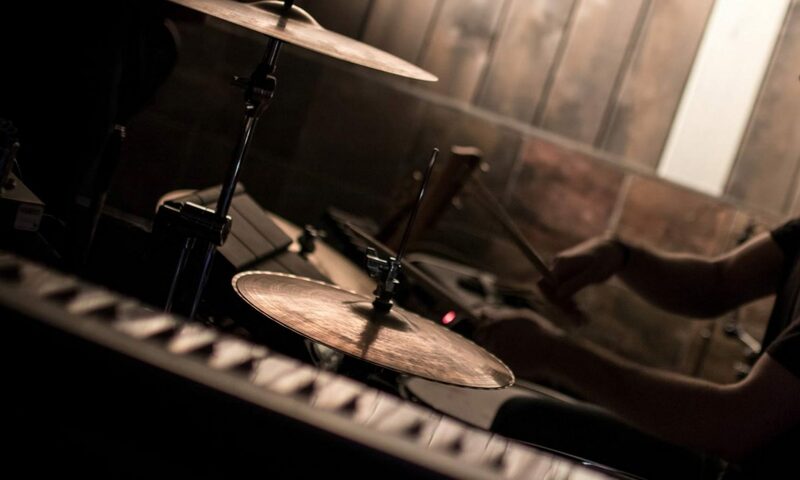 Your drums will ring out well, with a subtle attack that blends well with other instruments. 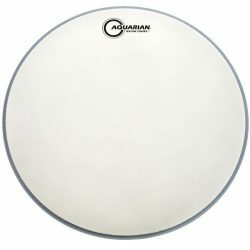 These drumheads are great for both low and moderate volume situations. 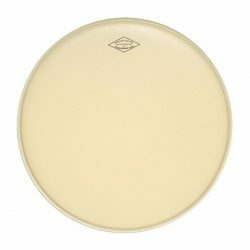 Compared to the clear version, the coated Remo Ambassador is slightly warmer (but still fairly bright compared to many other drumheads). Tip: For a similar head with greater attack and a sound that cuts through more, try the clear version of the Remo Ambassador, or take a look at the more durable Ambassador X. The coated Remo Ambassador is one of the most popular snare drum heads in the world, and is very responsive with both sticks and brushes. 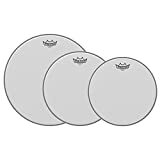 These drumheads also perform very well on toms, giving a balanced tone with lots of depth and sustain. Extremely versatile, Remo Ambassador Coated heads are a great choice for those looking to experiment with a range of different sounds. 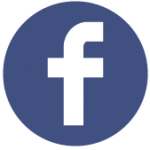 Tune high for a brighter clear sound, medium tension for a warmer and more resonant tone, or tune low and add dampening for something more fat and punchy. 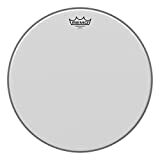 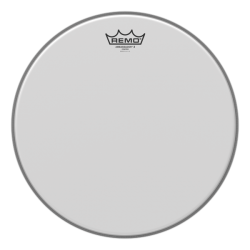 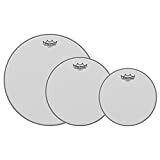 The Remo Ambassador Coated is a good choice as a resonant tom or bass drumhead for a strong sustain, with a little added warmth. 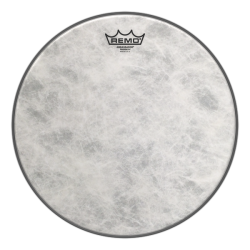 The coating focuses the midrange frequencies and gives a slightly more subtle attack compared to the clear Ambassador. 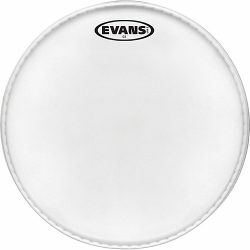 As a resonant tom or bass head, this sound is great for studio recording or lower to medium volume playing. 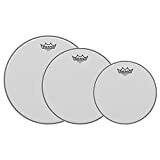 Remo PP-0940-BA Ambassador Coated Tom Drumhead Pack - 10", 12" & 14"